The latest news on Charlie Sheen’s accelerating descent into full-on insanity: Radaronline is now reporting that Sheen has told them that he is switching from CBS to HBO for his own show. CBS pulled the plug on the rest of the season of Two and a Half Men after a series of crazed, offensive, and antisemitic rants from Sheen. 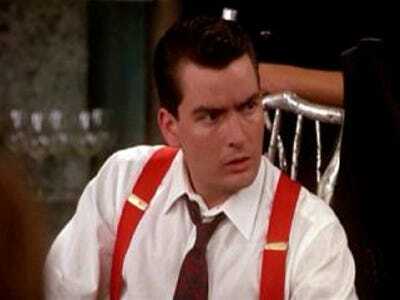 “I’m close to securing a deal with HBO for a 10 show guarantee,” Sheen said. They could not reach HBO for comment. We can only hope it’s a reality show. We bet it would be epic. Alex Jones, whose show Sheen called in for one of his crazier rants, has been defending Sheen on MSNBC.